At 5 and a half inches (5.5") tall, two inches (2") deep, and 5 and a half inches (5.5") wide, it's a fun size for holding your critical items. It has a pocket inside to isolate your ID and cards from the rest of the contents. Two trigger snaps are spaced to fit the belt loops on most pants. 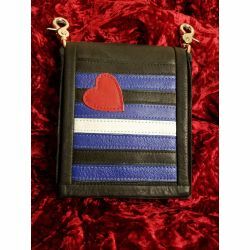 This bag is 5 and a half inches (5.5") tall, two inches (2") deep, and 5 and a half inches (5.5") wide. This makes is a fun size for holding your critical items, but not overly large, or in the way. 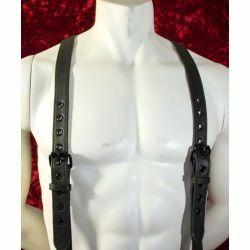 A matching leather shoulder strap is available. You can wear the bag with the strap, on the shoulder like a purse, or remove the strap and clip it directly to whatever you want. Two sturdy metal clasps allow the bag to be clipped to your belt loops for a supremely useful hip bag, with a stylish edgy look. A great replacement for a fanny pack. 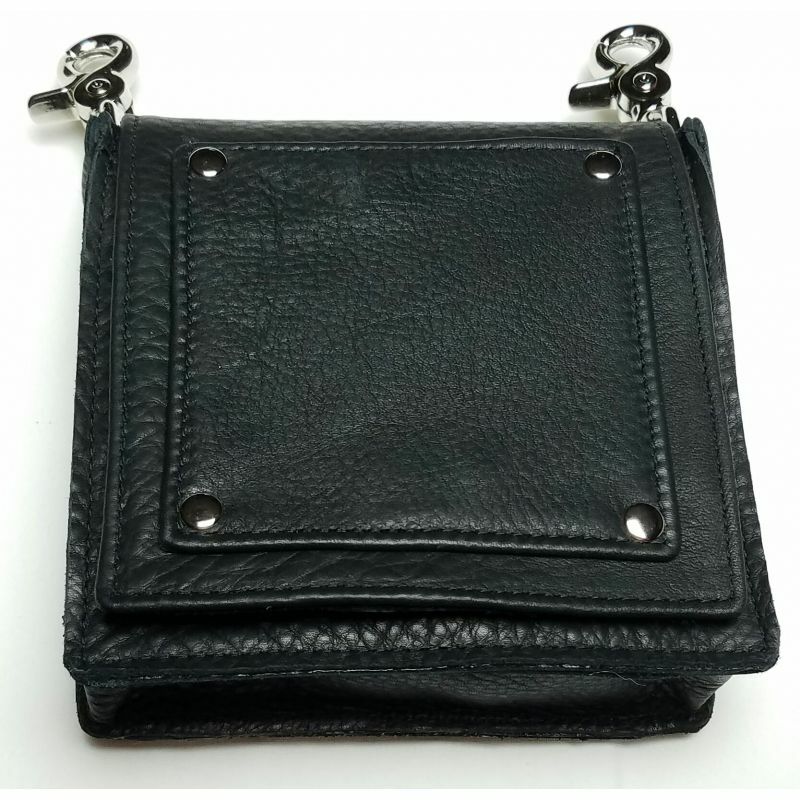 We can make the cross body strap adjustable by adding a buckle and gromets to the strap. All of our straps match the bag's body leather color (which you pick, see below). 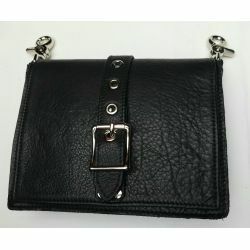 However, we offer the bag made of leather in seven other colors. Not only that, but you can choose from eight the leather colors for the front pocket square separately, to match or contrast. We offer the metal hardware in three finishes to tie it all together. Hundreds of possibilities. Use our visualizer to get some ideas.